Tesco today announced that they are offering a Finnlife log cabin for just £9,999. 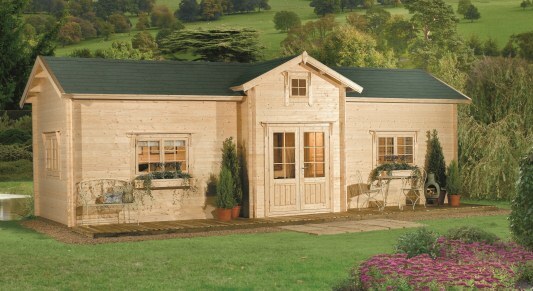 The log cabins measure 32ft by 16ft 10ins, and when assembled comprises five rooms and a ‘handy upstairs storage area’. The home has eight windows, French doors and a felt shingle roof. The cabin features an outside decking area and double-glazing all round, and can be upgraded to include guttering, laminate flooring and under floor heating. The house is manufactured from high-grade Scandinavian whitewood, and must be ordered online. Tesco warns interested buyers that they may need planning permission and building approval before assembling the cabin. It is constructed using 44mm thick tongue-and-groove boards which slot together. Each cabin comes complete with a building manual and lists the tools required including a ladder, saw, screwdriver, mallet and tape measure.